Well, with the PG-13 rating, I’m not expecting to see Venom go full comic book Venom. 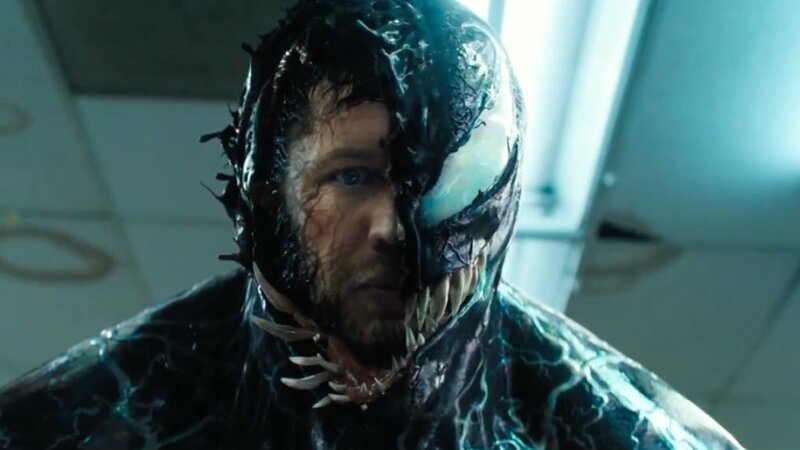 We have no idea if Venom is going to end up being a good film or not. But one thing is for sure, audiences are excited to see it. In fact, according to Deadline, early tracking numbers suggest that the film is going to shatter October box office numbers. They are saying that the film will open between $60 million and $70 million on the first weekend of October. If that happens, Venom will have the biggest box office opening in October…ever. The Oscar-winning film Gravity is the current record holder with $55.7 million. Of course, these are just projections, and there’s always a chance that Venom could fall below that, especially if the reviews and word of mouth about the film end up being bad. But, if the movie is actually good, then it will be interesting to see how things play out. I’m not expecting much from Venom. The trailers haven’t done a very good job selling me on it, but I hope that Venom turns out to be better than what I’m expecting. If the film succeeds, then Sony Pictures will make more of them. In the end, I doubt the movie will bomb. There are a lot of Venom fans out there and too many people are interested in seeing how this movie turns out. Venom is set to hit theaters on October 5th.